CBD oil is a concentrated product designed to be taken orally as a tincture. CBD oils are not intended to be smoked or vaped with vape pens or other vaping devices. Wait, first let’s clarify that CBD tinctures and CBD oils are one and the same and usually used to describe products that are designed to be taken by mouth and administered under the tongue. The term “tincture” is often interchanged with the term “oil.” CBD oils (aka CBD tinctures) normally use a food grade oil like MCT, coconut, olive or hemp seed oil as the carrier oil so that it is more bioavailable and can be better used by the body. Vape liquids, however, require a less viscous carrier oil. Most manufacturers use thinning agents to make the carrier oil thinner so that it can be vaped easily. CBD liquids are designed to be vaporized and inhaled as a vapor or steam. You can’t or shouldn’t vape CBD oil but you should choose instead a CBD liquid that has specifically been designed for vaping. Can You vape CBD oil keeps coming up in the conversation as consumers are often confused by the labeling of CBD products. The confusion often lies in the fact that some CBD vape liquid manufacturers use the term “oil” incorrectly. For example, companies often mislabel a product as “CBD vape oil,” when in fact what it is a CBD vape liquid and vice versa. This is why label transparency and third-party laboratory testing of CBD products is so vital to consumers. 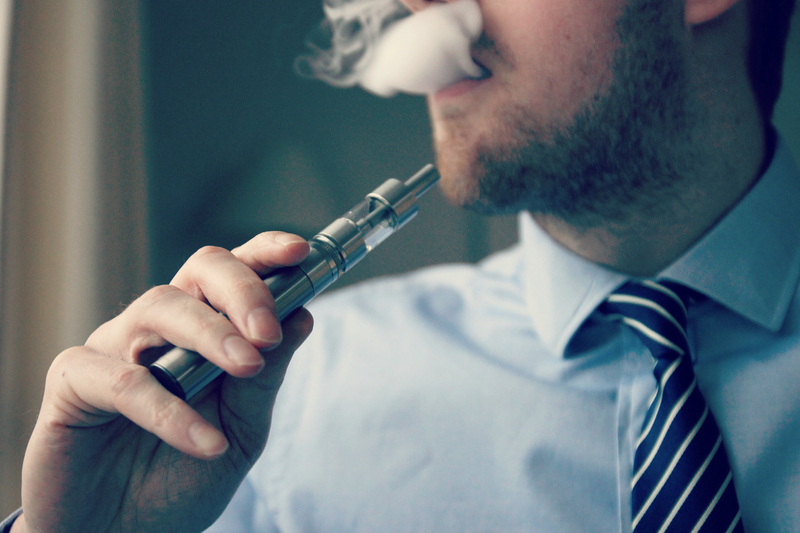 When a person inhales the smoke from an electronic cigarette or vaporizer, that person is vaping. The way it works is that the coil in the vape pen heats up the e-liquid turning it into a fine vapor that can be inhaled. Once breathed in, it enters the bloodstream at a very fast rate so its effects are often felt immediately. Vaping CBD has emerged as a popular method to reap the many healthful benefits of CBD hemp oil. Diamond CBD offers preloaded disposable vape pens that make it very convenient to vape CBD anytime, even when on-the-go. In addition to CBD vape oil, CBD can also be found in CBD oils, hemp oils, full spectrum hemp oils, CBD edibles, CBD tinctures. CBD sprays, CBD pills, CBD dabs and more. Consumers often take CBD by eating it, taking it sublingually, smoking it or vaping it. For people who want precise dosing, CBD oil capsules are often preferred as they will deliver CBD in exact amounts of milligrams. For those who want the immediate effects of CBD, vaping is preferred as it goes into your bloodstream faster. To figure out how much CBD is in each vape bottle, dropper or drop of CBD is easy, yet requires some math. A 30ml bottle of CBD contains 600 drops. How do you calculate how much CBD is in each dropper or drop? Simple. For a 1000mg bottle of CBD, there is 1000 mg in the entire bottle, so divide 1000 by 30 to find out how many mg of CBD you are getting in each full dropper (about 33). Divide the total amount of CBD in the bottle by 600 to find out how many milligrams of CBD is in each drop of oil. For example, a 1000mg bottle will have 600 1.7 mg drops. Vaping CBD has a different effect than taking in CBD via oils or edibles due to its bioavailability. Bioavailability is a gauge of the way and amount the CBD absorbed into the bloodstream after consuming it. A CBD edible must digested before it enters the bloodstream while vaping CBD can have almost instantaneous effects. Eating an edible will take longer to hit the bloodstream than vaping, but it also may last longer, because of the slow pace at which it moves through your system. Edibles tend to be better than vapes for people with digestive problems as the CBD oil can often work at the root cause of the issue. Due to the fact that the FDA doesn’t regulate CBD oil or vaping dosages for health conditions. CBD oil dosing is up to interpretation. A single dose of CBD oil can affect individuals in different ways. Before starting a wellness or CBD healing program, consult a doctor about your conditions, dosage and intended use. According to the Mayo Clinic, you should find your CBD oil dosage based on scientific research, publications or expert opinion. Before beginning a wellness program, whether CBD or nutrition, it is a smart practice to start small and gradually increase your dosage. Since everyone is different, there is no single perfect amount that is right for everyone or all conditions. Being aware of your own body and how the CBD is affecting it is vital. Whether for anxiety or pain relief, the right dose of CBD oil or CBD vape can have a beneficial impact on your overall health and wellness. So do your homework, find reputable companies who test their products like Diamond CBD and enjoy the many benefits CBD has to offer in its many various and exciting forms. And that leads us to our final question when it comes to vape oil. Can You Vape CBD Oil: Can You Vape Too Much? So far the survey says the answer to this question is no. The top independent lab for the analysis and testing of cannabis products has stated that there is no established lethal dose for CBD of any kind and that includes vaping CBD. Of course, you should read CBD and all other product labels carefully and talk to your physician before beginning any therapy.